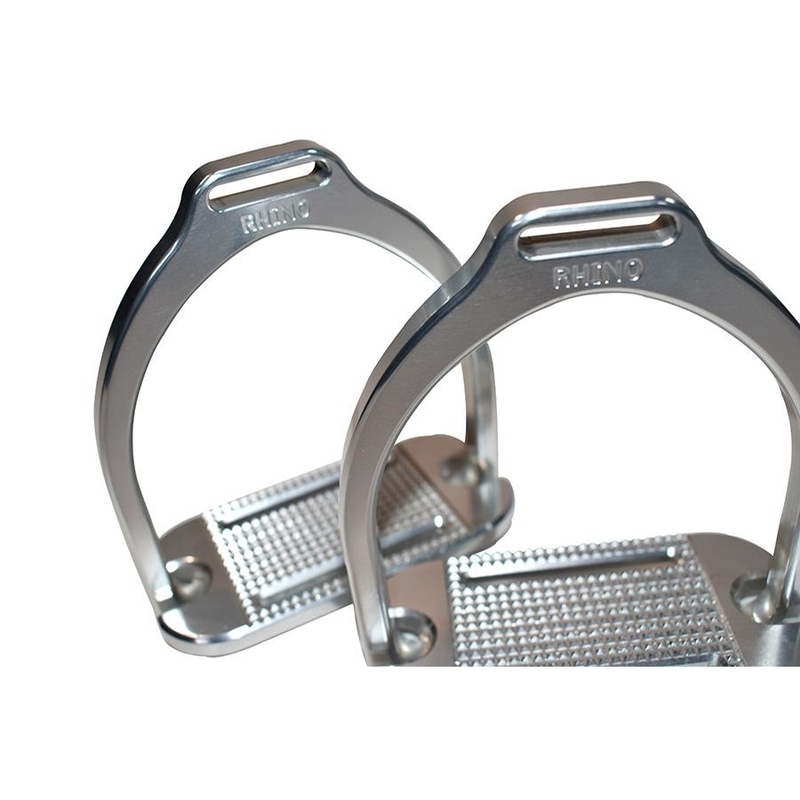 Rhino Stirrups come as a left and right pair. 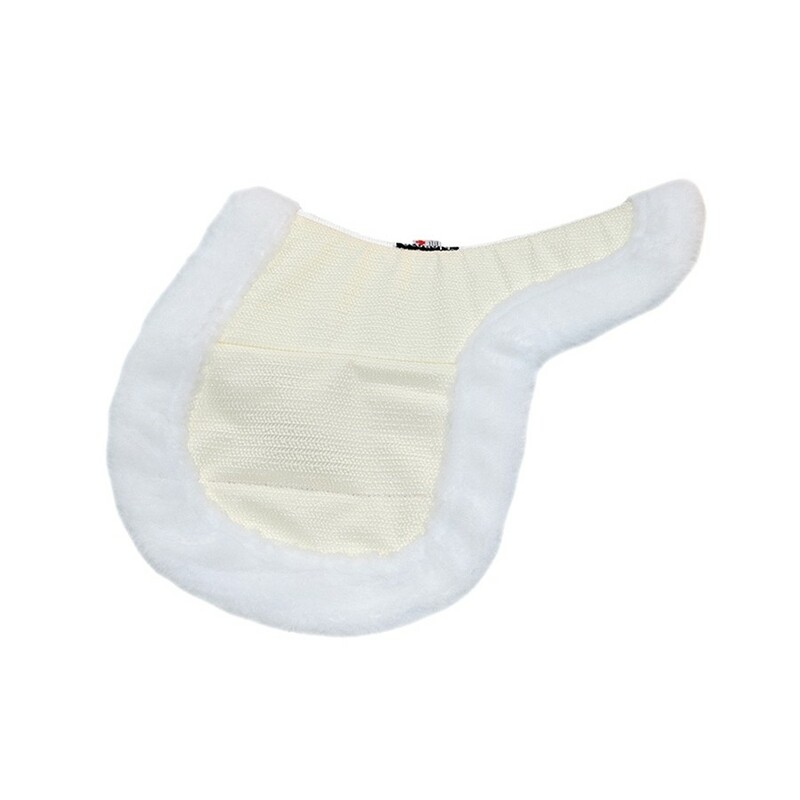 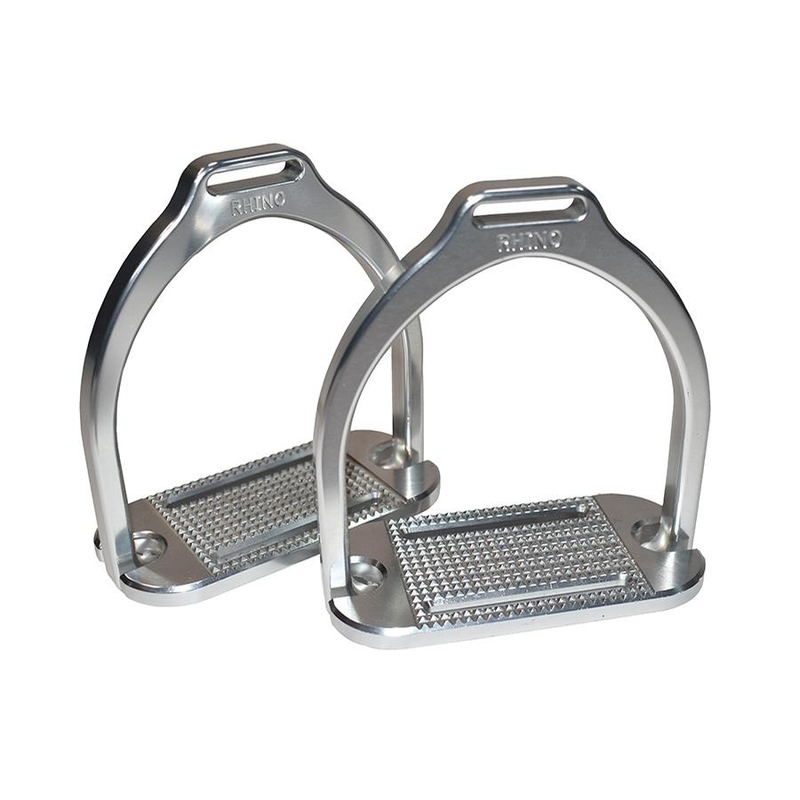 There is a cut through on the pad that allows dirt from the boot to fall through the stirrup. 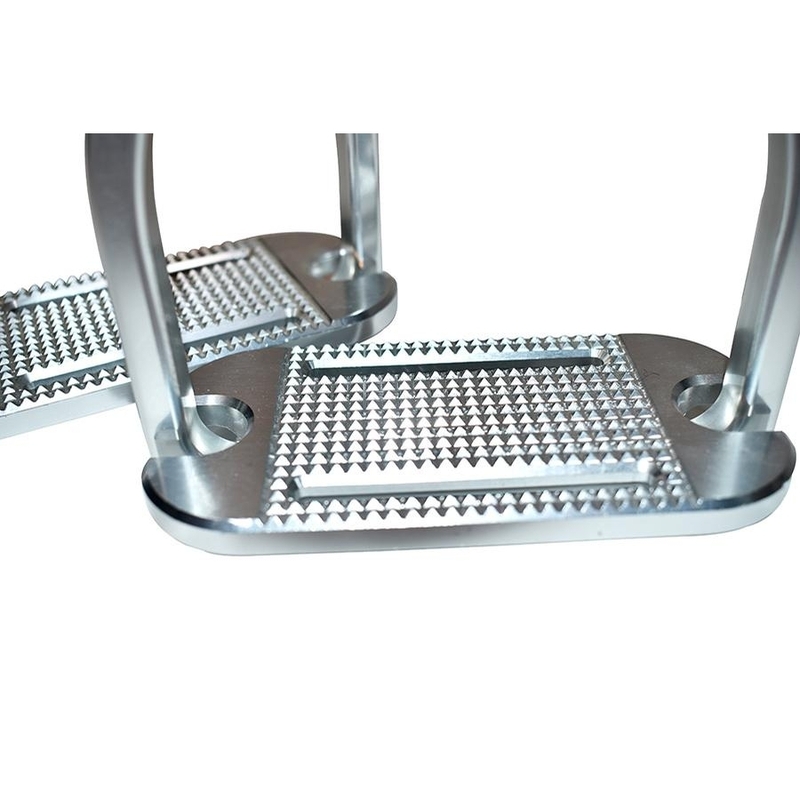 Stirrups are aluminum and are available in small and large sizes.